Jen: I’m thrilled that Candlewick Press is celebrating picture books with their We Believe In Picture Books campaign! It’s a perfect way to celebrate their 20 year anniversary. Kellee: I am, too, as I love to share with others how much I enjoy and use picture books even as a middle school teacher and an adult. Jen: That is already a perfect example of why picture books are awesome! They are so versatile and appropriate for every age. The text and illustrations in picture books tell such amazing stories that we can all connect to no matter our age. Kellee: And the inference and connecting skills they need when having text and pictures are very high order thinking. 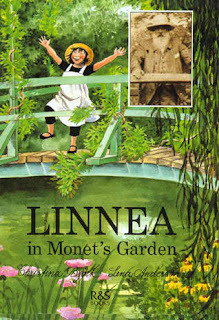 Jen: I also love picture books because they are short and easy to manage in one sitting. Students reading a picture book get the whole story - from the exposition at the beginning to the rising action, the climax to the resolution - all in one reading. And they also get great language and vocabulary in such a short time. It irks me to hear people say picture books are for little kids because they have pictures and are too easy. The reading level of many picture books is actually very high and usually way above a child’s ability. Kellee: Exactly! When I am doing genre studies with my students, the easiest (and I think best) way to share an example of a genre is by sharing the picture book. It gives them a lasting memory. Every year, though, I have to get past the students who haven’t been read a picture book since kindergarten and complain about me reading them. However, after I explain why and read a couple, they would rather me read nothing else. Kellee: I think it is out of ignorance. Even I, before Twitter and our friendship, didn’t always see how important and beneficial picture books were to all readers. Which is exactly why I love what Candlewick is doing with their We Believe in Picture Books celebration this year so that we can all help those who don’t understand pictures books find the joy in them we all have. “Sometimes," she said, "he tries to go back to picture books." “He would still read picture books now if we let him, because he doesn’t want to work to read,” she said, adding that she and her husband have kept him reading chapter books." First of all, if he wants to read picture books, then let him read pictures books! But what really gets me is when she says he wouldn’t be working at reading if he were to read a picture book. It just makes me sad. It shouldn’t be about him working, it should be about him reading what he enjoys but, at the same time, any reading is work. Any reading counts. Let’s not apologize for reading what we want to read or diminishing a book by labelling it less worthy than another simply because it has pictures. If I could say anything in support of pictures books...it’s that parents should continue to share and discuss picture books with their kids forever and ever and ever. Let’s change the song from Robert Munsch’s I Love You Forever to, “As long as I’m living, reading picture books to you I’ll be.” I’ve felt this way since I heard Jim Trelease (author of The Read Aloud Handbook) say that he would read to his kids while they washed and dried this dishes! I love it. Kellee: All of this reminds me of Einstein’s quote, “Imagination is more important than knowledge.” Now, as a teacher, I understand how important knowledge and understanding is, but we cannot stifle our children’s need and want to use their imagination. Picture books definitely show our children that we honor imagination and the power of it. Jen: So true. Picture books do nurture the power of imagination! I love how they encourage kids to think more deeply about things but also how they can show them the reach of imagination. Kellee: Before we end this great conversation- what is your favorite picture book from your childhood that you still visit today? I have a couple. 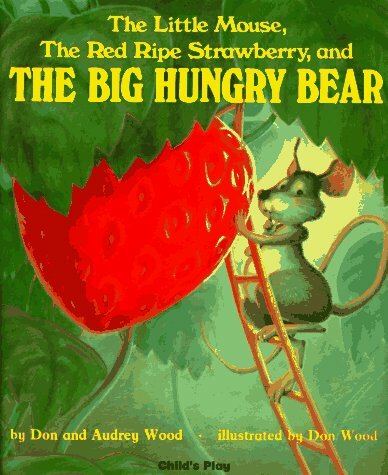 My favorite memory is reading Ten Apples on Top by Dr. Seuss which was the first book I learned to "read" when I was 2, but the one I visit the most is The Little Mouse, The Red Ripe Strawberry, and the Big Hungry Bear by Audrey and Don Wood. I remember reading that book to my sister and brother and it is one of the books I give to any of my friends who are having a child. I also found out, about 3 years after I met my husband, that it was his favorite book as a child as well. Jen: I have a few books that I remember fondly from when I was young. My favorite picture book memory was of reading Dr. Seuss' Marvin K Mooney Will You Please Go Now? with my mom. I just loved that book. I also remember Mitchell is Moving that I renewed over and over again when I was in 2nd grade. But when you asked about a book I still read today Linnea in Monet's Garden came to mind. I received a review copy from Sourcebooks and was so ecstatic because seeing the cover instantly took my back to 3rd grade when I read and adored it. I am excited to review it soon. 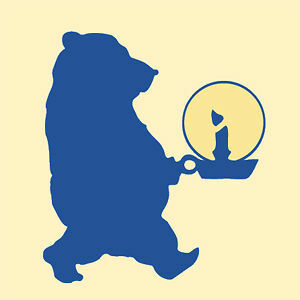 Starting September 1st, 2012, Candlewick is accepting video submissions at Reading Starts Here. You can read more about it from them, but basically, they will be sharing videos of people talking about why they love picture books. If you love picture books like we do, check out the site and tell them why you love picture books so much. I'm looking forward to watching what everyone has to say about picture books. They are definitely deserving of our praise! Why do you believe in picture books?